I am done with my confinement but am a little overwhelmed at the moment. Please enjoy this guest post by Beyond Kimchee, a fabulous Korean food blog that I recently discovered. Authored by Hyegyoung (aka Holly), a native of South Korea, Beyond Kimchee is a chronicle of Holly’s recipes and the food she prepares for her two kids and husband. It is so exciting to see more and more people trying Korean recipes in their homes these days. I was blown away to see how many Galbi or Kimchee recipes are on the web when I first thought of having my own Korean food blog about 6 months ago. Some recipes are very excellent and some, well… I had to raise my eyebrow. I must have been hibernating in the cave all these years while Korean Bulgogi Taco swiped the valley of California, or Kimchee stew had become an addictive to some of those K-pop lovers. Korean food is earthy and somewhat rustic I would say. There’s no exotic ingredients and you don’t need special tools or gadgets to create wonderful meals. Your knife and hands are your best friends in the kitchen. The biggest challenge I face every time I organize my recipes into my blog is converting a little bit of this into tablespoons, and a little bit of that into teaspoons. Most Korean home cooks don’t use measuring cups or spoons. I bet that goes same to other Asian home cooks as well. We just trust our senses and finger tips, don’t we? I am thrilled to post as a guest blogger on Bee’s the famous “Rasa Malaysia”. I have been a fan of her blog and thrilled for the opportunity to be part of it. The recipe I am introducing is called “Bean Sprout Beef Rice Bowl with Chive Sauce”. Wow, what a long name! Let’s just call it “Bean sprout rice”. That’s what we call in Korea. This is quite common dish among Koreans and everyone loves it. It is basically part of Bibimbop family but you only need one vegetable, the bean sprouts. It is simple (regardless of the long list), easy, budget friendly, and most of all, it’s delicious! Ground beef is seasoned in basic Bulgogi marinade. 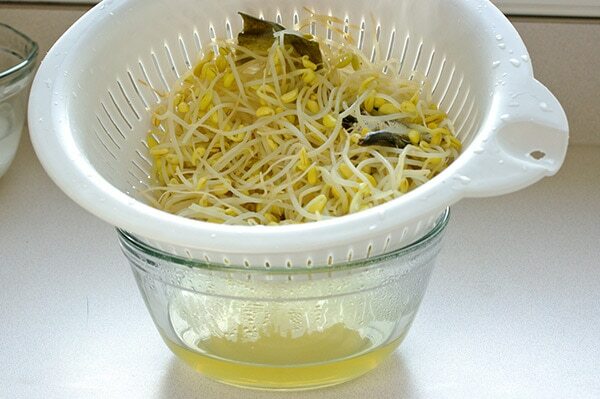 Bean sprouts are cooked in a little bit of water with dried anchovies and sea kelp reserving the broth afterward. Rice should be soaked in the water for 30 minutes and cooked later in the reserved bean sprout broth. Make the chive dressing with given ingredients and you are set to go. I have to confess that after the photo shot of this dish I dumped everything into a bigger mixing bowl, drizzled more sesame oil and mixed all in until they get nicely incorporated. The taste? Well, all I can say is, Mmmmmmmm…, Goooooood! P.S : Any questions on the recipes, ingredients, or just simply want to say, hi…? 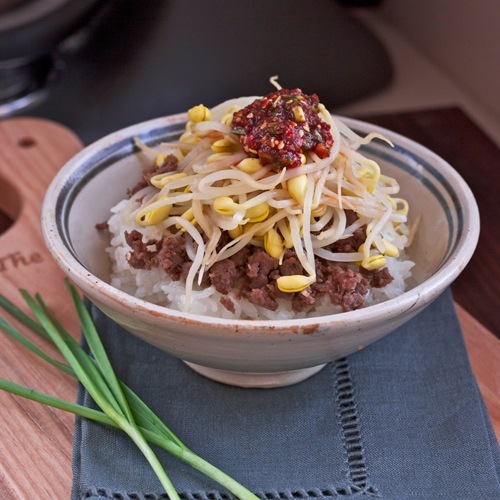 Bean Sprout Beef Rice Bowl recipe - seasoned ground beef, bean sprouts, rice, chive dressing. 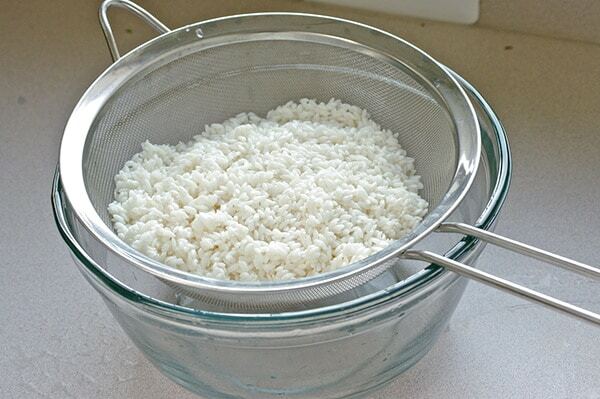 Soak the rice in the water for 30 minutes and drain. Set aside. Prepare the beef in the marinade and chill until ready to cook. Meanwhile place bean sprouts in a pot with dried anchovies and sea kelp on the bottom with 1 cup of water. Cover with lid and cook over medium high heat until the steam comes out, reduce heat to low, continue to cook for another 6 minutes. Do not peak. You need to keep the pot covered. Drain the bean sprouts and reserve the broth from them. You will need 1 1/2 cup of the broth. If not enough, add water to fill in. Discard the anchovies and sea kelp. Set aside the bean sprouts covered. 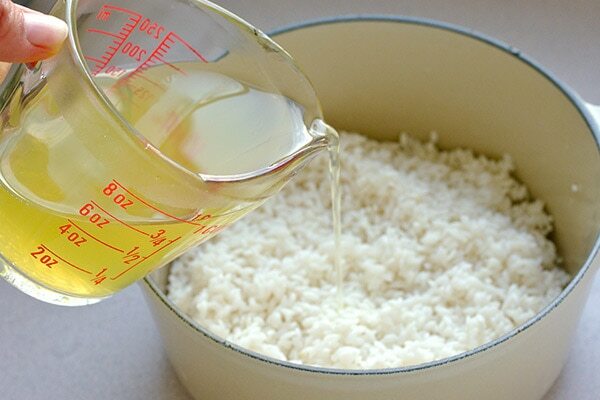 Cook the rice in a rice cooker or heavy bottom pot with the reserved broth. Cook the beef in a pan until browned. No need oil.Make the dressing by mixing all the ingredients. Place cooked hot rice in a big individual bowl, top with beef and bean sprouts, and the chive dressing (about 1 1/2 Tbsp or more per person). Drizzle more sesame oil in you wish. Mix everything very well until they get nicely incorporated. 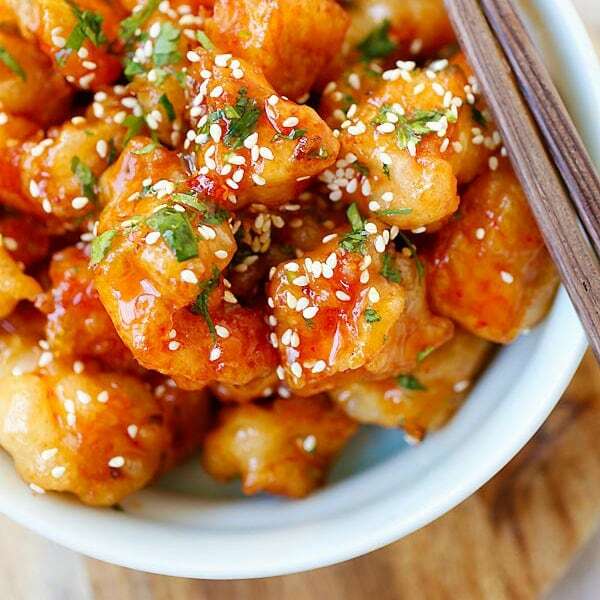 Serve with some Kimchee as a side if you have. I love Korean food but can’t find any reliable Korean food blog (in English). Thanks so much Bee for introducing Beyond Kimchee. I love it, it’s very resourceful and just what I am looking for. Time to cook some Korean dishes. Try http://www.aeriskitchen.com. Aeri is Korean. She also has a youtube channel. Her recipes are definitely more or less authentic, and they’re very easy to follow. Oh very cool a bulgogi marinade. I have only had it out of the bottle. This looks like a cool dish. I am yet to try Korean food. I used to love bean sprouts while growing up. Now I am into Mung Bean sprouts that I make from scratch. So organically yummy! I love mung bean sprouts as well. They make wonderful Korean side dish, just like soy bean sprouts. What is the difference between this bean sprout beef rice bowl and bibimbap? I love bibimbap and this looks just like it. Also, do you know where I can buy those stone rice container used in Korean restaurant? Can I get it online? Bibimbap, in general, has at least 5 different types of vegetables each seasoned separately w/ or w/o beef, and placed on top of rice with a fried egg and chili paste. Typically served in a big bowl but most prefer it in the heated stone pot, which create the rice on the bottom crispy. The difference of this dish to Bibimbap is that you only prepare one vegetable but prepared in different way, and the dressing that goes with it. It wll take a lot less time and effort to prepare but still enjoy the goodness of mixing rice with meat and vegetable. Some Koreans prefer without the beef. There are several restaurant in Korea that specialize this dish only. Trust me , this is very flavorful dish with half of the effort of traditional Bibimbap. I love Korean food and the little dishes served before the meal. I’m especially partial to the little anchovies. Do you have a recipe for that? Do you mean the tiny baby anchovies that were seasoned with chili flakes and soy sauce? 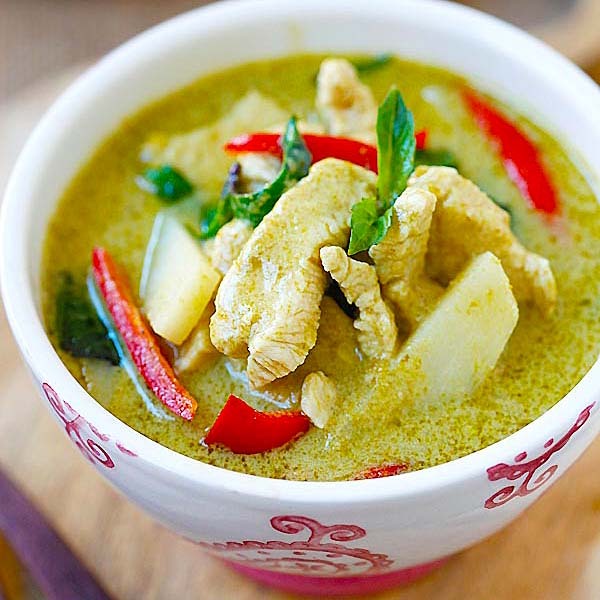 Hi Bee, How about some tasty low fat asian recipes for people like me who need to lose weight for medical reasons? I am not sure what the above comment mean? Thanks for sharing another wonderful Korean recipe here, I love Bibimbop. 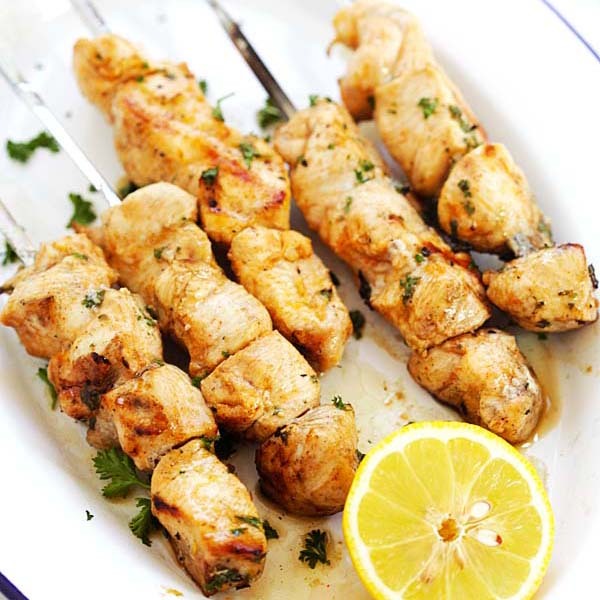 I love this recipe, I’ve made it many times over and it’s always a hit with my hubby. Lots of ingredients to buy but once you have them you’re good to go! I am glad that you and your husband like this dish. They are considered as healthy food since you get to eat lots of bean sprouts, and I often serve with brown rice to make it even healthier. Thanks. I noticed that you use the big bean sprouts for this recipe. I can only find regular bean sprouts, would that work? Do yo mean the sprouts with tiny heads? They are mung bean sprouts and yes, it should work. Adjust cooking time for them though, since they will need less time. Thanks. Really intersting dish..Looks really yummy! Hi! My boyfriend usually doesn’t like bean sprouts in restaurants but when we made this, he loved it! Thanks! 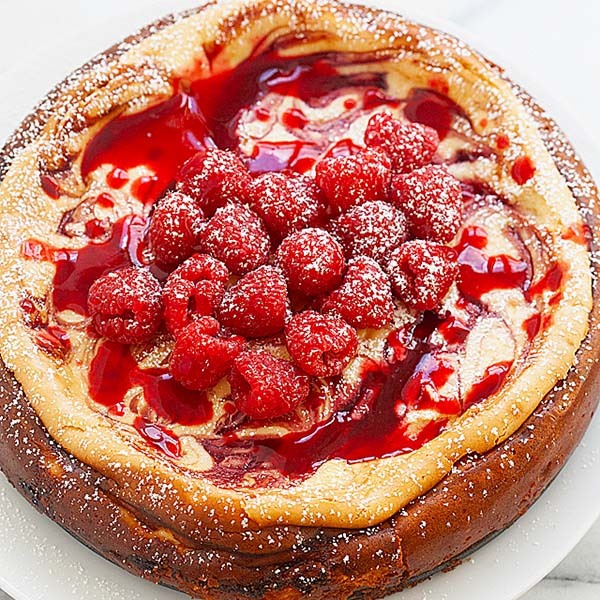 Hello :))) love love your website and recipes! I have two questions ! First one is I was able to find kelp on this long sheets in your recipe it days 2-3 you mean oz or pieces can you be more specific ? And I wanted to double the meat to a pound instead of do I double the marinade for the meat? Do I have to double everything since I’m doubling the meat? Thank you!